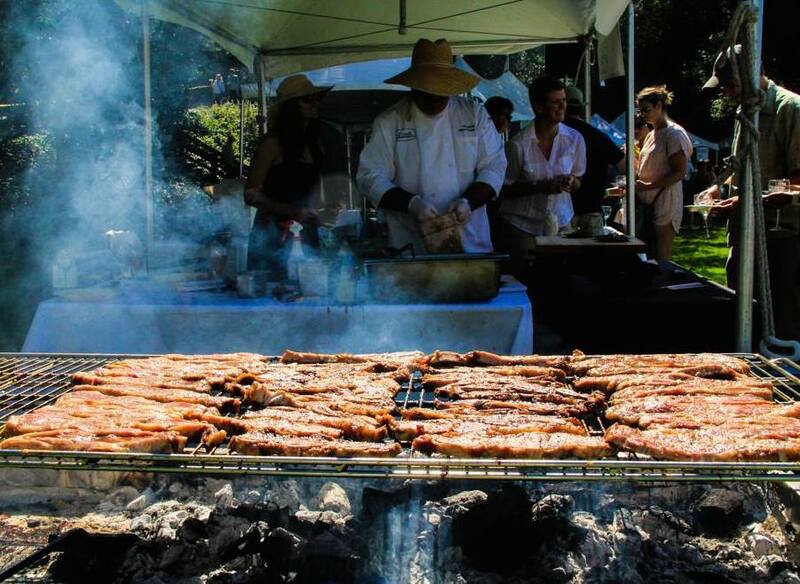 There are many food events occurring this weekend in the Santa Cruz area—here are details for three events Friday, April 15: two in Santa Cruz and one in Scotts Valley. Unfamiliar with The Green Waffle? Like My Mom’s Mole, they are a small local food business that does their production at Watsonville’s El Pajaro Commercial Kitchen Incubator. All waffles are made with oats, egg whites, spinach, and banana. You can also find the waffles at Staff of Life in Santa Cruz, Deluxe Foods in Aptos, and GNC and Second street cafe in Watsonville. Karma Khana will be hosting a dinner pop-up at the Santa Cruz Food Lounge from 5 to 9 p.m. Dishes available—with prices from $4.50 to $7—will include chundal chaat, paneer-stuffed peppers, rockfish biriyani, turkey and lamb kebabs, and Gobi Manchurian. I had the opportunity to taste founding chef Varun Raghavan’s delicious food when he collaborated with LionFish Supper Club for their popup series “A Taste of India” last November at the Food Lounge. Food Trucks A Go Go, a food truck event company, is hosting its next food truck event at Skypark in Scotts Valley, with dinner and drinks being served from 4:30-7:30 p.m. Attendees can choose from seven local trucks, and there are picnic tables at the park. Participating food trucks are Ate3One, Zameen Mediterranean, The Choke Coach, Aunt LaLi’s Mobile Café, Carmona’s BBQ, Zocalo Tamales and G’s Tacos #2. Profits from a beer and wine garden, sponsored by the Scotts Valley Educational Foundation and the Mountain Charlie Challenge (the latter is happening the following weekend), will benefit the four Scotts Valley public schools. 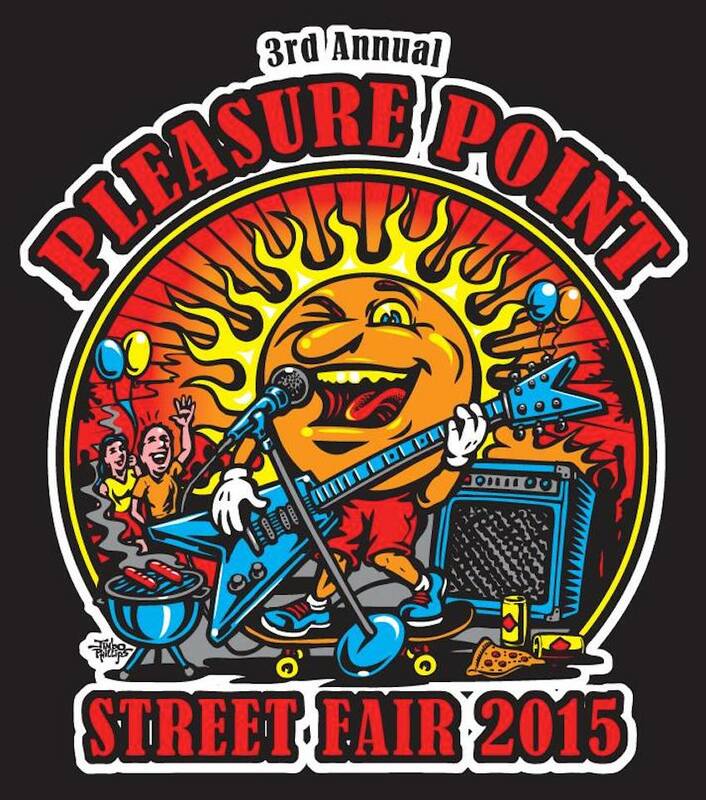 This Saturday is the third annual Pleasure Point Street Fair in Santa Cruz, with a variety of local food and drinks for sale. The event, from 11 a.m. to 5 p.m., on Portola Drive between 38th and 41st Avenues, has free admission. The fair includes two stages with nine bands, a kids’ area, and more than 75 vendors selling arts, crafts, local services, and food. 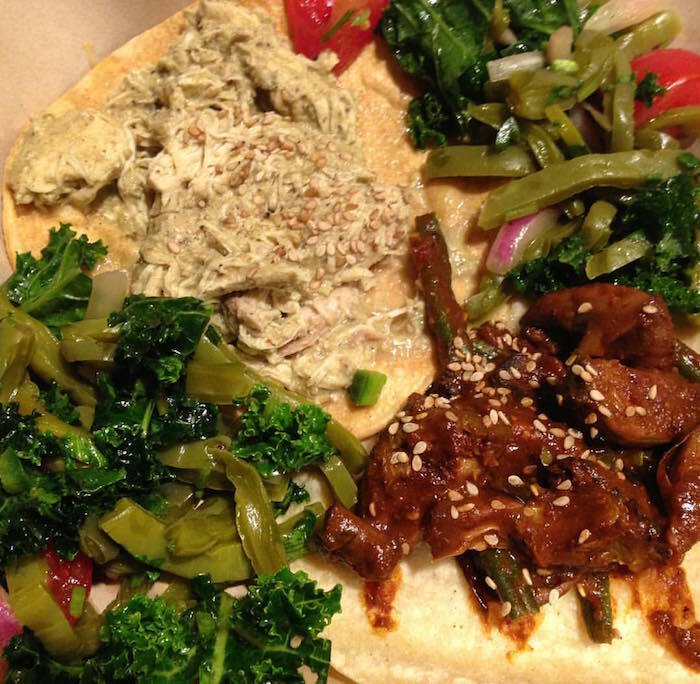 Food selections include products from New Leaf Community Markets, East Side Eatery, Zameen Mediterranean Cuisine, The Point Chophouse, Lucy’s Hot Dogs, Surf City Sandwiches, and India Gourmet. A beer and wine garden will offer traditional European-style craft lagers and pale ales from Capitola’s New Bohemia Brewing Co. and several wine selections from Bonny Doon Vineyard. The kids’ area will have face painting, crafts, and a photo book. Kids between 3-8 can also play at June Bugs Gym on Portola for $10/hour. Bands at the fair include reggae, rock, and funk musicians. The headliners are Coffee Zombie Collective at the New Leaf Stage and El Cuadro Verde at the NuBo Stage, both performing at 3:30 p.m. I saw Coffee Zombie Collective perform last month as they received a 2015 NEXTtie award and they were fun and fantastic. Here is the full music schedule. 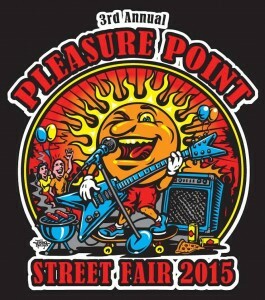 For more information, call 419-8433 or visit pleasurepointstreetfair.com. 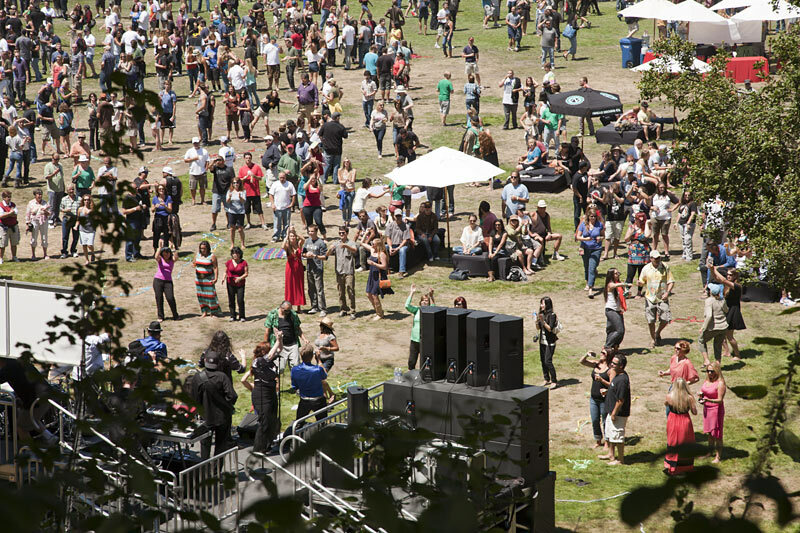 The 2013 California Beer Festival on August 10 features food from restaurants and other vendors, plus live music and of course lots of beer. Event organizers have announced that tickets usually sell out so it’s recommended you buy online. General admission tickets are $45 and include beer samples and a souvenir cup; there are also “designated driver” tickets for $25 (includes free meal from any food vendor plus bottled water) and VIP tickets for $70 (includes early admission and more). 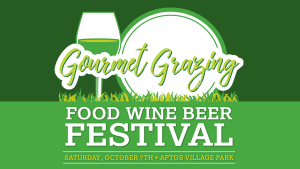 More details: the event is at Aptos Village Park, the beer samples are 3-ounce pours, and the festival gates open at 12:30 p.m. for general admission ticket-holders. Tasting begins at 1 p.m. and the festival ends at 5 p.m. There will be approximately 70 craft beers on tap. Breweries participating include Lagunitas Brewing Co., Anderson Valley Brewing Col, Hangar 24 Craft Brewery, Sierra Nevada, Anchor Brewing, and Seabright Brewery. Food vendors include Zameen Mediterranean Cuisine, Cruz-N-Gourmet, Lucy’s Hot Dogs, and Mission Hill Creamery. There are three live bands performing including Foreverland, a 14-piece tribute band to Michael Jackson. All parking will be at Cabrillo College and a courtesy shuttle will bring you to the Park (Please refer to map under “Map & Directions” section at the web site). Proceeds benefit the Gen Giammanco Foundation, a non-profit organization that provides financial support to student athletes to assist in their pursuit of both scholastic and athletic success in Santa Cruz County.